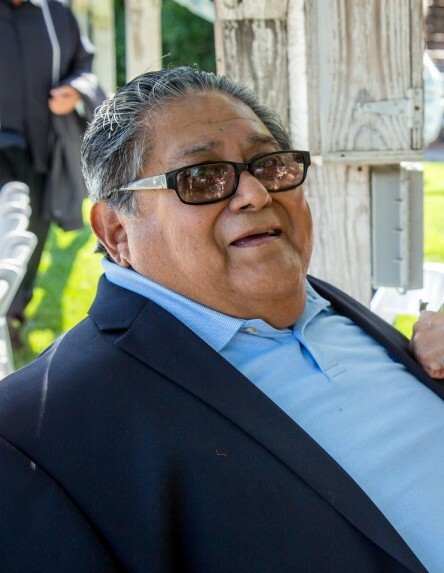 Obituary for Clement C. Chavez | Allen Brothers Mortuary, Inc.
Clement C. Chavez Jr was born on April 17,1943 in San Diego, California to Josie and Clemente Chavez Sr. He passed away peacefully on March 21, 2019 at the age of 75 in his home in Hemet, California. He was preceded in death by his Father Clemente Chavez Sr., Mother Josie Chavez, and Brother John Chavez. Clem is survived by his wife Helen Chavez of 56 years; children, Merlinda Chavez (Jaime Sandoval), Clement "Artie" Chavez III, Gloria Rodriguez (Jose Angel Rodriguez), Ralphie Chavez, Paul Chavez and Stevie Alvarado (Rosie Alvarado). He was also survived by his grandchildren; Serena Sandoval, Elena (Mike) Alejo, Nicole (Edgar) Sedano, Jose Angel Jr Rodriguez, Jessie Rodriguez, Anna Arroyo, Breanna Arroyo, Pennalope Alvarado and Harlie Alvarado. He is the great grandfather to Chevy, Noah, Shane, Sammie, Willow, Rizzo and Tala. Clem was a beloved brother to Margie (Charlie) Haslam, Martha (Tommy) Cota, Joe Chavez, Glenda Chavez, Maryanne (Albert) Cruz. He had a large extended family that he loved dearly; aunts, uncles, nephews, nieces, and cousins. In Clem's earlier years he enjoyed classic cars and cruising the beach in his Ford Ranchero. He later took interest in his genealogy and began to trace his ancestry, something he took great pride in. Clem was a foodie and always knew where to find the best restaurants and if you were ever lost, he knew every back-road for miles. He found pleasure cruising around in the car, spending quality time with his wife Helen. Above all, Clem, "Jr, Casper, Tata, Pizza Man, Pon-Pon" was the very definition of a devoted family man. His children, grandchildren and great grandchildren were his pride and joy and they will always find happiness in his memory. Clem would make his daily rounds and call his family and friends. We will miss Clem and the endless stories he would tell. If you were a friend of Clem's, you were a friend for life, and he was a best friend to many. Clem had a great sense of humor and gave just about everyone a nickname, something we all treasured about him. Clem was a mentor to many and will be remembered for his easy-going nature, generosity, and sincere desire to help people. There is no one like Clem and we were blessed to know such a great man, he will be missed dearly. A service will be held Wednesday April 3, 2019 from 5pm - 8pm at Allen Brothers Mortuary: 1315 South Santa Fe Ave, Vista CA. A celebration in honor Clem's life will be held at a later date.